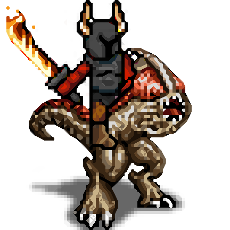 Leech Dragoons are chosen among the best Leech Knights, they undergo a specific training, wear heavy armors and wield flaming swords. Leech Dragoons are well-known for their bravery and their cruelty on the battlefield. Last updated on Sat Apr 20 01:27:50 2019.